I had the pleasure of Dave Harfield interview me for Web Designer Magazine: Web Design for Real People and defining the internet through beautiful design. I was asked, "Five Questions with Calvin Lee of Mayhem Studios." + Describe yourself in five words? + Which design tool makes the biggest contribution to your creative output and why? + What do you consider to be the most useful technique in the design/development process? 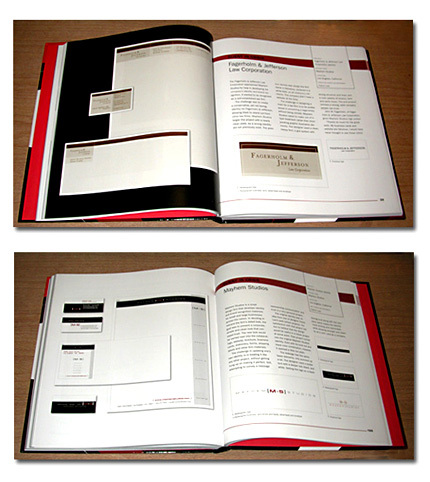 + Web creatives love designer fonts. What’s your favourite and why? 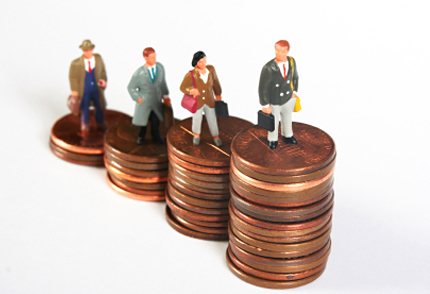 + One tip that you would give anyone trying to get into the industry? 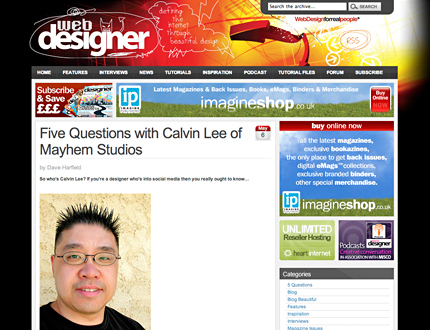 So head on over to Web Designer Magazine to find out what my answers were to the, "Five Questions with Calvin Lee of Mayhem Studios." Follow @mayhemstudios and @WebDesignerMag on Twitter.